Every year, the country sees a host of political brick batting and mudslinging on 6 December. On 6 December 1992, the Babri Masjid in Ayodhya was demolished by a mob who alleged that the mosque was built on the birthplace of Lord Ram. At least 2,000 people were killed in the aftermath of the events. Anand Patwardhan put together this documentary about the campaign by the Vishwa Hindu Parishad to build a Ram temple in Ayodhya. However, his documentary failed to ring any warning bells. 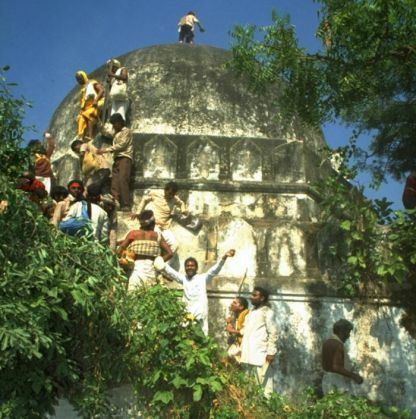 Months after the film was released, the Babri Masjid was demolished. The film earned a Filmfare Award and a National Award for Best Investigative Film. The VHP slammed the film, terming it "anti-Hindu". This 1995 film by ace auteur Mani Ratnam explores complex human relationships in a backdrop of communal antagonism. The film won acclaim for its portrayal of a love story between a Hindu boy and a Muslim girl during the riots in Bombay following the demolition, which killed over 200 people. Set against the background of the days preceding the demolition, this 1995 film by Saeed Akhtar Mirza traces the relationship of a 15-year-old school girl from a middle class Mumbai-based Muslim family and her ailing grandfather. As communal tension erupts in the city, Naseem observes the changing dynamics at her school and in the neighborhood, while her grandfather watches helplessly at a city getting deeply divided on communal lines. Mirza bagged the National Award for Best Direction and Screenplay for the film. The 2005 Malayalam film throws light on the repercussions of the demolition on the Muslims in Kerala. This is a tale about a young man who is inspired to take up religious fundamentalism to avenge the demolition and how his actions affect his relationships. This 2007 film by Anurag Kashyap movie was based on the book titled Black Friday - The True Story of the Bombay Bomb Blasts by Hussain Zaidi. The film and book chronicle the 1993 serial bomb blasts in Mumbai, which were allegedly organised as retaliation for the Bombay riots. This made-for-television documentary series presented by Shekhar Kapur and produced by ABP News is an attempt at chronicling Indian history from 1947. 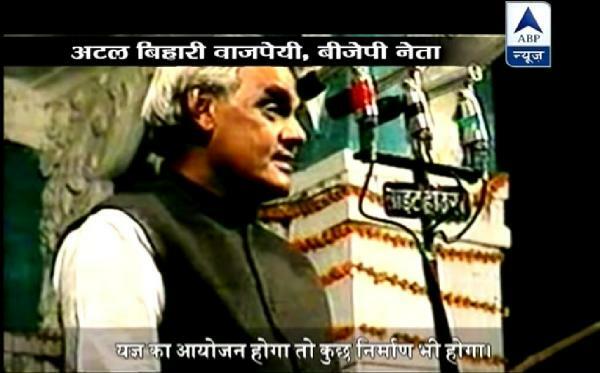 The series also included a segment on the Babri Masjid demolition - which comprised a detailed recall of the incident and interviews with journalists. Click here to the see the full episode. The opening sequences of this 2008 Oscar-winning movie from Danny Boyle's kitty are based in riot-torn Dharavi in 1993. The riots triggered communal violence in the slum which saw Hindus and Muslims residing in peace for years before the riots. This 2010 film revolves around the life of a Hindu boy and a Muslim girl who get separated in the riots in Mumbai following the demolition. Striker was the first Indian film to premiere on Youtube on the day of its release. READ NEXT >> Bigg Boss Nau: Who is Manasvi Mamgai, the new wild card entry in the show?